set of stationery articles. 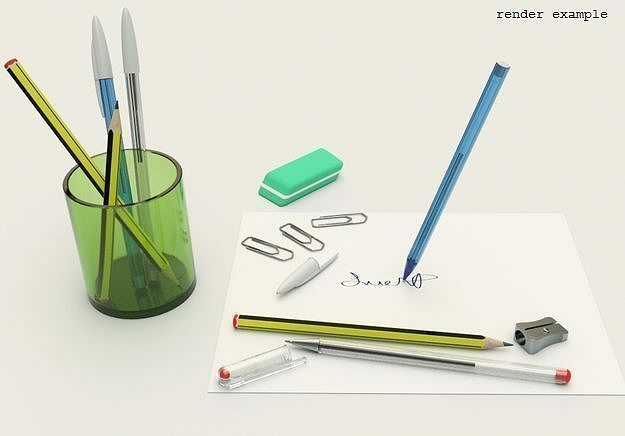 Contains two types of pen, pencil, eraser, pencil sharpener, paper clip, pen holder. The models are very detailed, suited for a close-up view in a render.